Stephen Livingstone wrote the article Natural Beekeeping in Rural Delivery (January/February). In it he describes taking over a beekeeping operation with his young son Calvin. It is an astounding story of taking over one hive from an old operation. There used to be 20 hives, and by the time Stephen got to it, there was only one hive left. He was determined to raise bees without using any miticides for the Varroa mite which is so common. He describes how he saw Varroa mites in the hive, but he did not use anything to control them. Somehow the bees got through the winter, and eventually went on to multiply, and thrive. Stephen and Calvin now have a large bee colony that appears to be resistant to the the Varroa mite. That is a simplified version of the story, which has more details about all the management practices they used. I highly recommend reading the article and also visiting the website that inspired Stephen: The Practical Beekeeper by Michael Bush. This method of beekeeping is so much like the Horizontal Resistance Selection that we use to select wheat and potato seeds for ecological production (see posts on wheat and potatoes). We allow a crop to be exposed to disease, and select seeds from the population that remains. This resulting population, after a few years of exposure and selection, develops horizontal resistance to whatever disease they were exposed to. This is a simplified description of the process. Ultimately it makes sense, just like natural beekeeping. 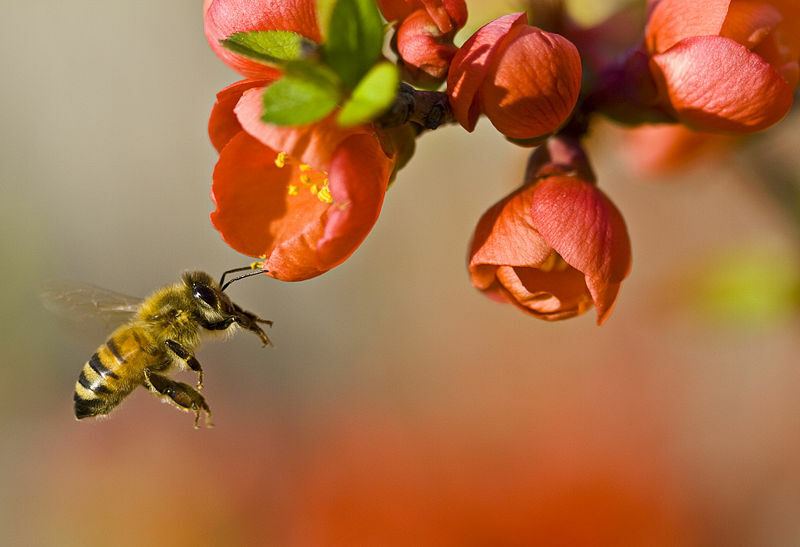 By using ‘protectants’ like fungicides or miticides, we are selecting for bees or crops that have little resistance to whatever threat comes along. Of course this makes us more dependent on those protectants. I am keen to learn more about Natural Beekeeping and continue the work of selecting crops that are resistant to disease. Feel free to comment on this post if you are also working along the same lines. This entry was posted in farm mentors, seed saving and tagged natural beekeeping, saving seed, seed selection. Bookmark the permalink.